Holiday Focus. For the color focus challenge, I was supposed to pick my favorite designer series paper in Stampin' Up! 's Holiday catalog. I could not decide between Season of Cheer and Home for Christmas, so I used both of them! Home for Christmas has several images that are perfect for punching out single images or fussy cutting. 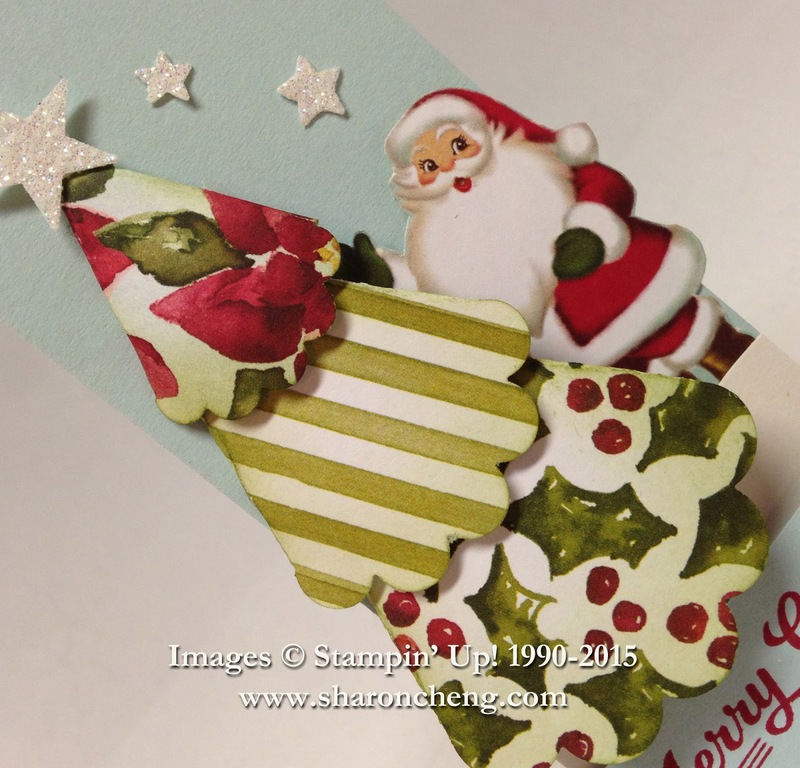 Season of Cheer is more user friendly for cutting up into strips or punching out repetitive designs. Check out my tutorial for making this Christmas tag and visit the Splitcoaststampers gallery for more Christmas inspiration. 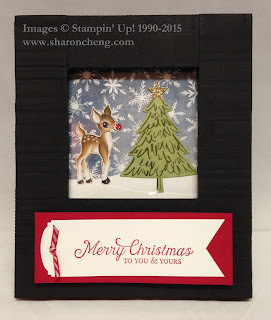 Another challenge was to feature one of the gift packaging ideas on pages 150 and 151 in Stampin' Up! 's annual catalog. I made this Snow Place gift bag using the Gift Bag Punch Board. 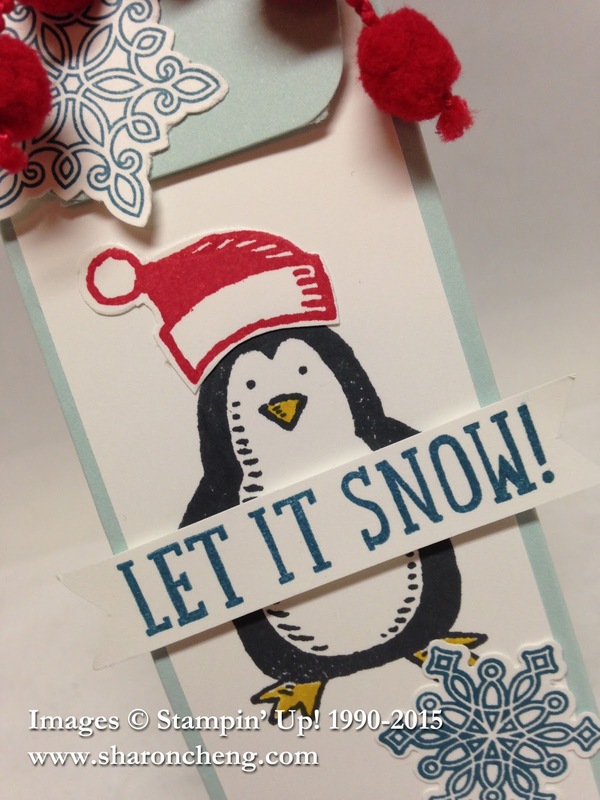 See how I used punches and framelits to make this Snow Place gift bag go quickly for a demonstrator swap! This Holiday Frame is a fun project that I designed for Halloween, Thanksgiving and Christmas for the Splitcoast challenge to make a gift item. By changing the insert and the labels, you use one frame for all three holidays. Check out how I used window sheets and magnets to make changing out the Holiday Frame quick and easy.